“Don’t speak to any of the villagers” Dewa, our driver, widened his eyes and continued, “you guys are with me”. The instructions given before heading for the Mother Besakih Temple reminded me of stories involving secret societies. The temple complex was infamous for louts forcing tourists to hire local guides who then extorted high fees from the naïve targets. Any resistance by the visitors led to aggressive vocal display of expletives. The gang backed off and let our car go. Moments later, we made a pit stop to wrap sarong around our waists. Dewa changed into a figure of piety by dressing in white. In the afternoon, we reached the parking at Besakih village. All the shops were closed as locals must have been in their siestas. The village was akin to deserted towns of the Midwest cowboy movies. We walked towards the temple complex eyeing every bent of our path for a possible ambush. A few locals stood at the entrance of the complex and eyed us in slow-motion. We ignored them . 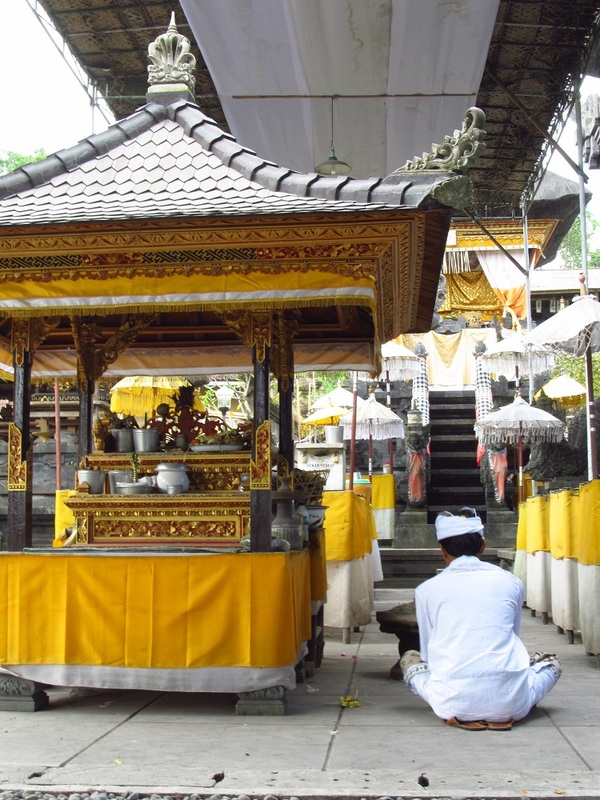 Besakih epitomizes the Balinese philosophy of Tri Hita Karana; Life must be lived in harmony between man and fellow human beings, man and environment, and man and God. I wonder, where do tourists fit in the equation? 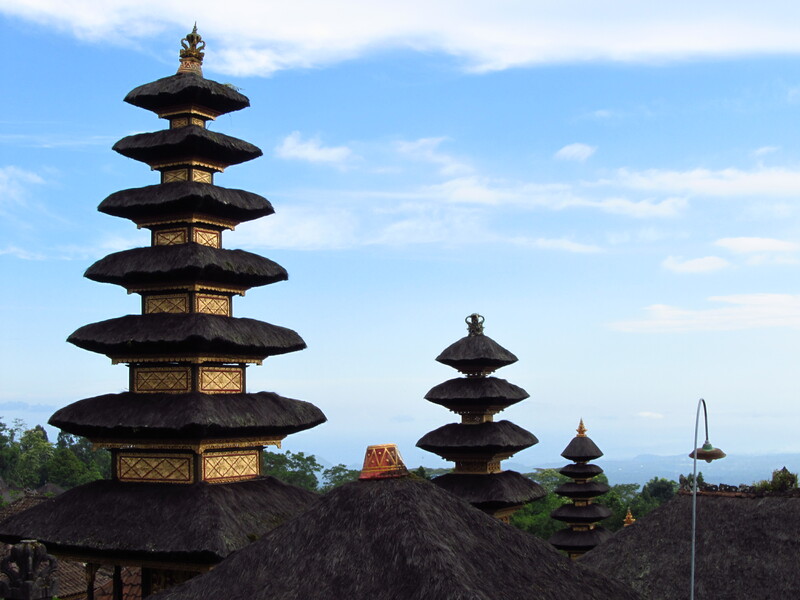 Bali was created and enriched by volcanoes. Mount Agung is the tallest volcano of the island. And it is considered to be the physical form of Mount Meru, the centre of creation as per Hindu and Buddhist cosmology. The site was more than 2000 years old. 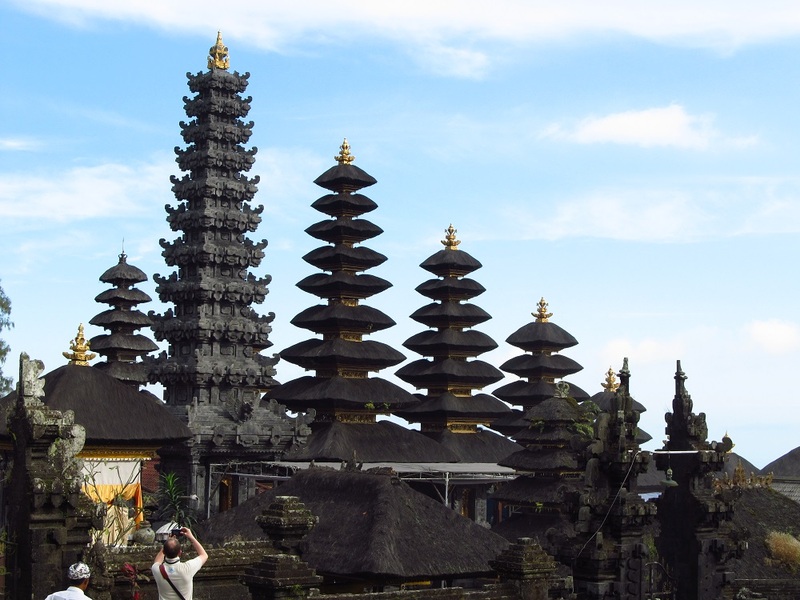 After the Javanese invasion of Bali in the 13th century, it became a Hindu Shrine. By 1500s, the complex had become a state temple of the Gelgel Dynasty. 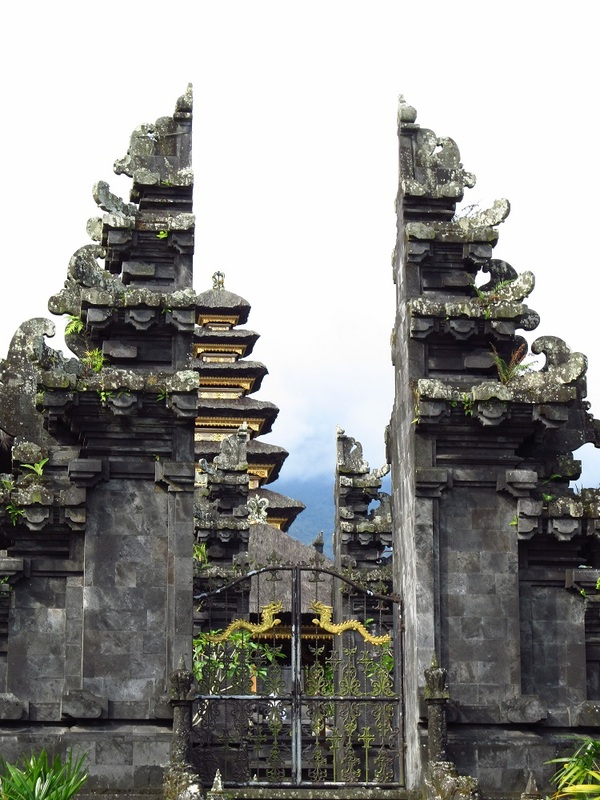 Currently, Hindu families of Bali and Java have their family deity enshrined in the complex. 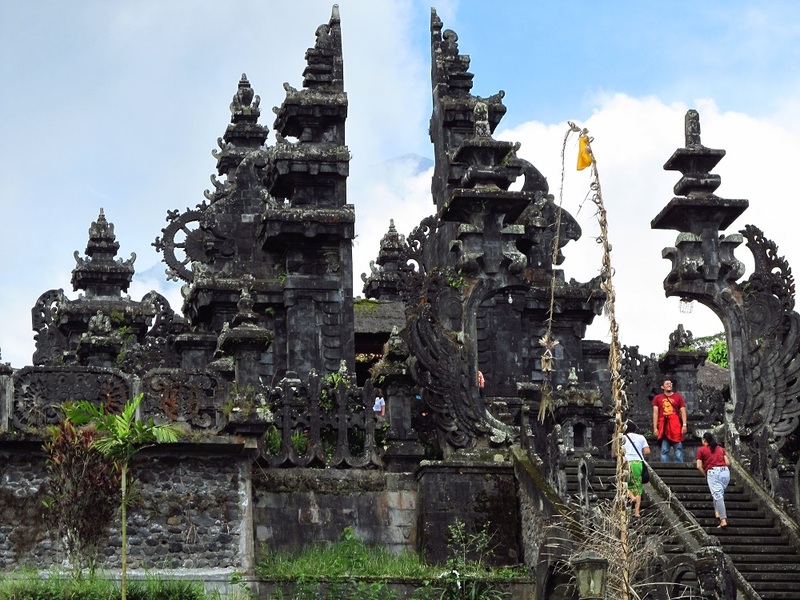 Mother Besakih Temple consisted of 22 shrines that were arranged in parallel rows. 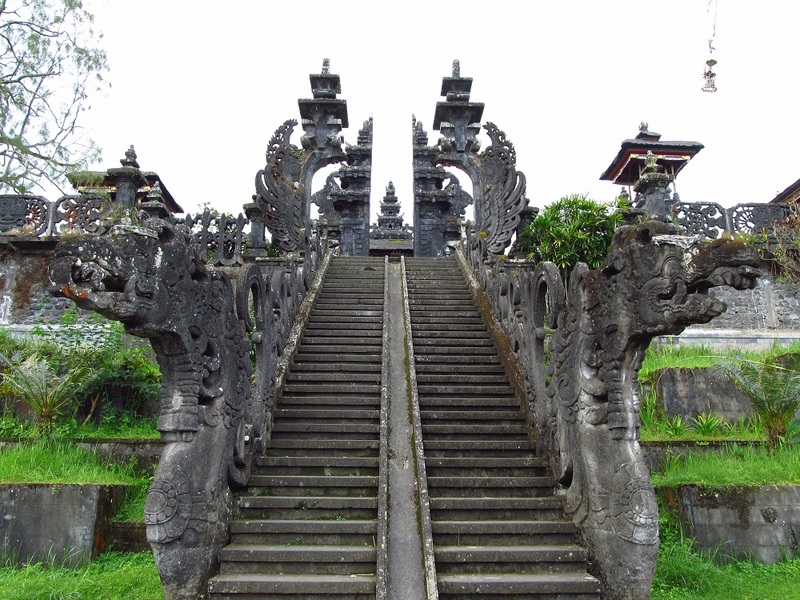 Terraced steps lead up to the Pura Penataran Agung, the first temple of Besakih. Drops of rain blurred my vision, as I tried to gaze at the summit of Mount Agung that reminded me of Avalon. Cloud and mist enveloped the peak and masked the destruction the mountain was capable of. It was the same volcano that nearly destroyed Besakih in its 1963 eruption, when lava flowed just meters away from the structures. Life has hidden all signs of that carnage. 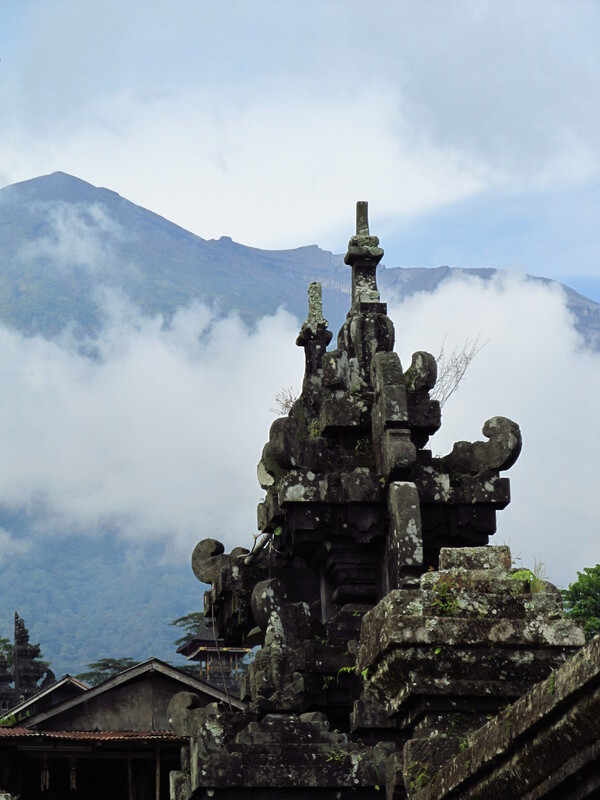 Mount Agung was an assurance and a threat; it mutely states that life and death are important truths of existence. 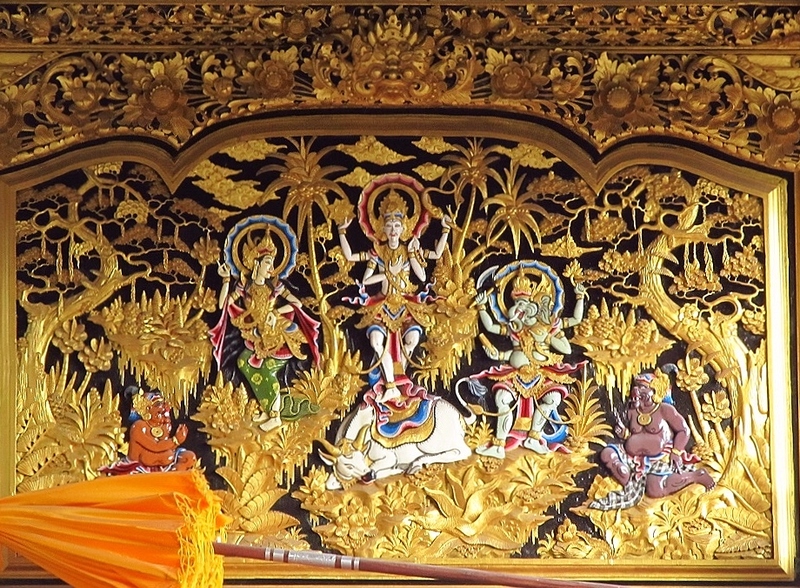 Acintya, one who cannot be imagined, is the supreme Balinese God. he can be equated with Brahman. Mount Agung, the physical manifestation of Mount Meru, centre of the universe. 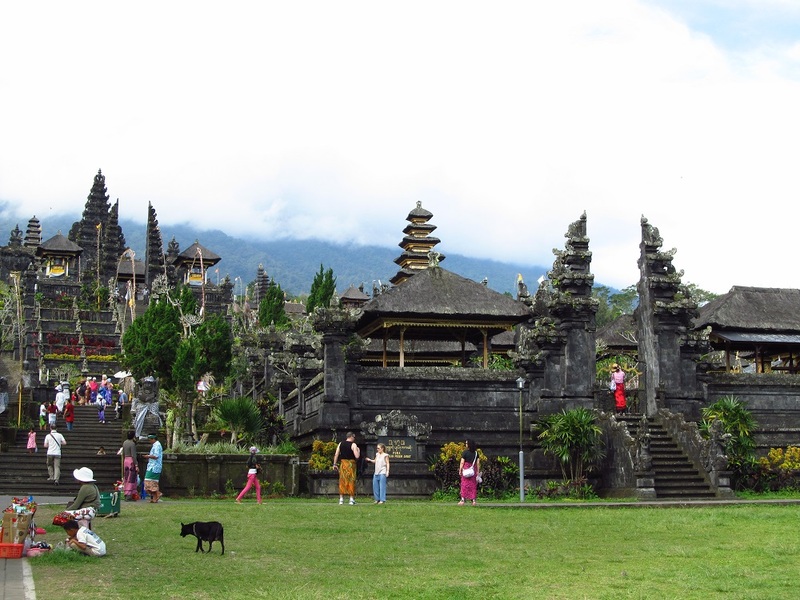 This entry was posted in Travel and tagged #bali, #besakih, #hindu, #indonesia, #meru, #mountagung. Bookmark the permalink. Great photos and good advice, the flash packer needs to stay savvy if visiting this temple as unfortunately it gets a lots of bad reviews for this very reason. Ordinarily,we believe..”world won’t adjust to us,we have to compromise”. The Balinese philosophy of “Tri Hita Karana” may be bit close to it.Well written. Blessed village,Besakih ! Got saved from 1963 disaster..for the deity!! Keep writing.its informative. Mt. Agung is really awe-inspiring! In most of the popular tourist places, locals always try to extort money in this way….Though it’s annoying but I think that’s their only source of earning..
Amazing images ! straight out from temple run …even better ! the way they have carved such ornate designs on one side and kept the other side plain made them look as if these were cut by a knife and put at the two sides of the gate / stairway .. interesting.